"She was a decent handicapper on the level and was not beaten that far behind the smart La Ti Dar at Newbury last April"
Bossiney Bay should run well at a decent price in this maiden hurdle. This filly shaped well on hurdles debut when finishing fifth to Miss Mumtaz over this course last month. She held every chance three from home, but failed to quicken when the pace lifted. She was a decent handicapper on the level and was not beaten that far behind the smart La Ti Dar at Newbury last April. I think she has a lot more to offer, and is attractively priced at [8.2] on the exchange. The Crafty Touch heads the market at [3.35] on the exchange. She won a couple of Irish points last year and clearly has ability. My biggest concern is that she may find this trip inadequate. Skandiburg should go close in this novices' hurdle. This gelding was not disgraced behind Third Wind in a warm handicap hurdle at Sandown last month. He ran on under pressure in the closing stages, but never had a realistic chance of delivering a challenge. I think he will find this company more to his liking and deserves his position at the head of the market at [3.2] on the exchange. Coole Well is the obvious danger. 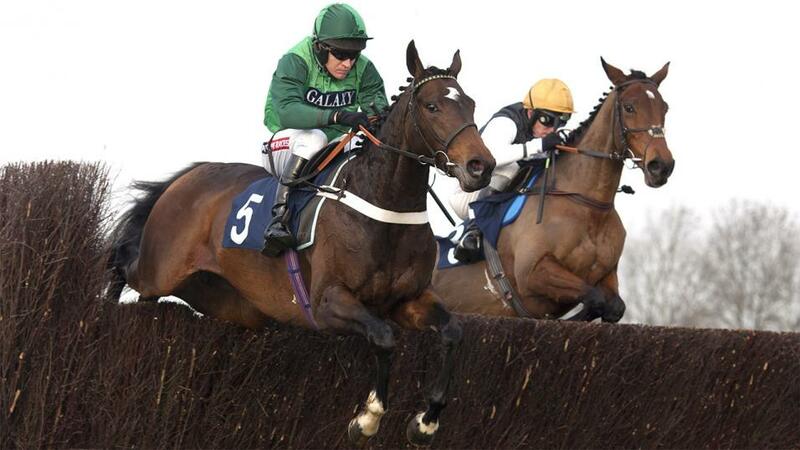 He finished a good second to Peppay Le Pugh at Doncaster last month and was a Plumpton winner in December. He is pretty much a confirmed front runner and will probably try and stretch the field.